​Do you want to be “fit for life”? At Fit for Life Health Services we treat the body as a whole. We feel health and wellness are more than just addressing symptoms, but rather treating the underlying cause of the symptoms. We examine the physical, chemical and mental/emotional inbalances to dertermine the most effective treatment plan for each patient to help them achieve optimal health and wellness. SOT® stands for Sacro Occipital Technic®. It is a unique combination of Chiropractic and Osteopathy that employs low force manual therapies and indicator systems that direct the doctor to the areas of imbalance through a network of neurological indicators. SOT® treatments function to balance the sacrum with the cranium and while doing so treating the entire body. 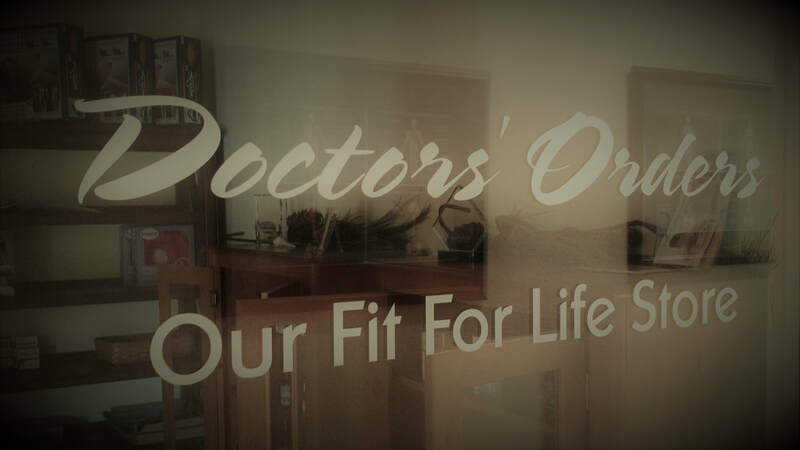 Our doctors focus on cranial therapy, organ balancing and extremity balancing (arms, ribs, knees, feet etc.). We utilize pelvic blocking treatments to optimize function of the pelvis, spine and cranium. By balancing your entire body, you create optimal function of all of your body systems. The best part about SOT® methods from a patient’s perspective is that it is very gentle and thus great for patients of all ages. We are committed to teaching all of our patients how to choose foods for themselves and their families with wisdom and consciousness. We wish to empower our patients to make positive changes and not just muddle through illnesses. We have information available for blood typing and the foods that fit best with your body. We also focus on adapting to every patient, as each person is unique, and each individual has different needs and desires. Above all, we strive to provide quality nutritional counseling and not just “popular” advice. We are always available for nutritional consultation with individuals or entire families. Our patients know that the first adjustment a child receives is in utero while we are treating our pregnant moms! It is vital for an optimally healthy pregnancy to have the mom treated during the entire term of the pregnancy. Again, we do not just treat for back pain, though this is a common complaint of pregnancy. We have treatment options for all ailments of pregnancy such as, reflux/heartburn, constipation, ligament pain, headaches and yes, BACK pain! We receive referrals from numerous OB providers in the area and have achieved a reputation as a safe and effective clinic for pregnant moms. Find out more about pregnancy and children! At Fit for Life we strive to provide a healthy, non-toxic and kid-friendly environment where children are welcomed. It is a common misconception that chiropractors only treat pain and musculoskeletal disorders. We are always asked why children need adjustments. The answer is quite simple - kids have spines too! The busy and active lives of children often lead to numerous falls and illnesses that compromise the integrity of their structure thus adversely affecting body function. Often the first trauma of a child’s life is birth trauma. Even a “perfect” birth can leave the infant with strain on their cranium or stress on skeletal structures. We also have a play room where the kids can have fun while the parents are treated!!!! Since about 75-80% of your nervous system is housed by the cranium, it is important to give it not only some credit, but a well deserved check up once in a while. Cranial therapy has been utilized in the United States since the 1800’s and is now becoming quite popular for a variety of issues. Cranial treatments employ VERY light force touch and corrections are achieved by simply holding light pressure in the area of the head and face. Cranial therapy is NOT like your regular Chiropractic adjustment. The process involves evaluation of findings from all over the body, facial asymmetries, and neurologic function. These factors are clinically correlated to the motion of individual bones in the cranium. (There are over twenty moveable bones in the adult cranium-even more in children because they have not completely ossified or formed the whole bone yet.) Function and movement patterns are as different for each of these bones as are the parts of the brain they protect. When a cranial problem is found it will usually line up with a pattern of spinal and organ issues. These indicate the need for a cranial adjustment. Various problems are associated with cranial imbalances and often resolve after cranial treatments when no other therapies have been successful. Headaches, vision problems, vertigo, reading disorders in children, learning difficulties, plagiocephaly (flat or misshapen heads we often see on babies), colic, latching issues with breast feeding, constipation, speech disorders, ear infections and torticollis are just a few of the health concerns that our doctors have successfully treated utilizing cranial therapy. When you come to our office make sure you check out our store. We carry a variety of things from supplements, vitamins, essential oil products (made from our very own certified aromatherapist, Meghan Nowlin), pillows, support belts and even diffuser necklaces. Because we treat the entire person, we often delve into lifestyle choices and suggest changes to our patients. This may include discussions on diet, environment, occupation, life stresses, relationships and many other areas. We are not trained counselors, but often refer to professionals for emotional work. Our emotions are directly related to our bodies. That “pain in the neck” person in your life may be literally translating into neck pain! The liver dysfunction showing up on a blood profile may be the result of a toxic environment and/or a toxic relationship. We may seem nosey in the treatment rooms, but remember that we are simply trying to clear all obstacles from your path to health!